Romanian gangster Adrian Preda, 36, who fled his country to avoid jail has been granted legal aid to fight extradition from the UK. The cage fighter was sentenced to nine years and six months in jail in Bucharest in February 2016 for attempted murder, blackmail and being a member of a criminal gang. He fled the country before giving himself up in the UK. He is now free in London while he awaits an extradition hearing. He is the latest in a stream of Romanian criminals exploiting a legal loophole to head to the UK before using misusing human rights laws to prevent being sent back. 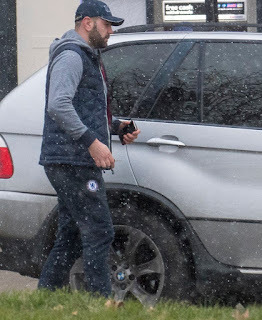 MPs condemned the case and said Preda – who drives a £60,000 BMW X5 sports utility vehicle – was making a fool out of taxpayers who have to cover court costs and his legal aid bills. Preda is claiming that it would be an infringement of his human rights to be sent to a Romanian jail. Preda’s gang flooded Europe with more than £2m worth of heroin. They also stole machine guns and pistols in a raid on a Romanian army base.